Purchase online MCP3202 ADC in India at low price from DNA Technology, Nashik. MCP3202: 12bit dual channel ADC with SPI interface. 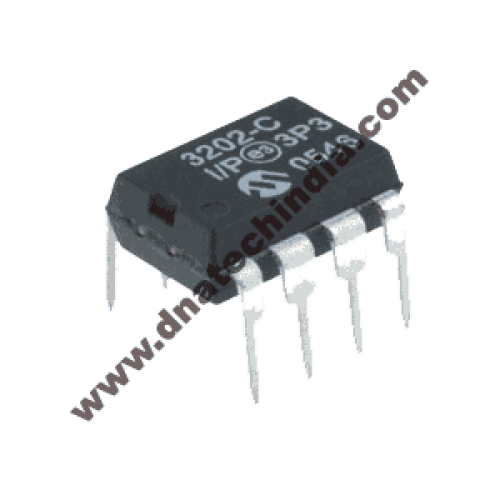 The Microchip Technology Inc. MCP3202 is a successive approximation 12-bit Analog-to-Digital (A/D) Converter with on-board sample and hold circuitry. 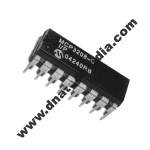 The MCP3202 is programmable to provide a single pseudo differential input pair or dual single-ended inputs. Differential Nonlinearity (DNL) is specified at ±1 LSB, and Integral Nonlinearity (INL) is offered in ±1 LSB (MCP3202-B) and ±2 LSB (MCP3202-C) versions. Communication with the device is done using a simple serial interface compatible with the SPI protocol. 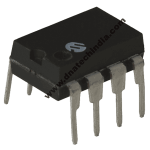 The device is capable of conversion rates of up to 100 ksps at 5V and 50 ksps at 2.7V. The MCP3202 device operates over a broad voltage range (2.7V-5.5V). Low current design permits operation with typical standby and active currents of only 500 nA and 375μA, respectively. 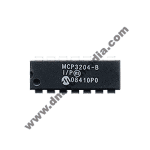 The MCP3202 is offered in 8-pin MSOP, PDIP, TSSOP and 150 mil SOIC packages. -500 nA typical standby current, 5μA max. MCP3201: 12bit single channel ADC with SPI interfaceThe Microchip Technology's. MCP3201 is a success..
MCP3204: 12bit four channel ADC with SPI interfaceThe Microchip Technology Inc. MCP3204 devices are ..
MCP3208: 12bit eight channel ADC with SPI interfaceThe Microchip Technology Inc. MCP3208 devices are..